Next time you bump into a real estate agent, ask them if the economy is capable of changing an industry. Most of them can captivate you with real-life campfire thrillers that illustrate first-hand how economic recessions and interest rate swings have affected their business personally and painfully. Can’t relate to real estate? How about government policy? Can that affect your business? You bet. Need something even easier to wrap your hands around? Consider the modern-day cup of coffee. Think about those four dollars people donate every single day to Starbucks. Ask former Starbucks executive chairman Howard Schultz about how an economy that justifies paying $4 for a consistent cup of coffee has changed his life and the way he does business. 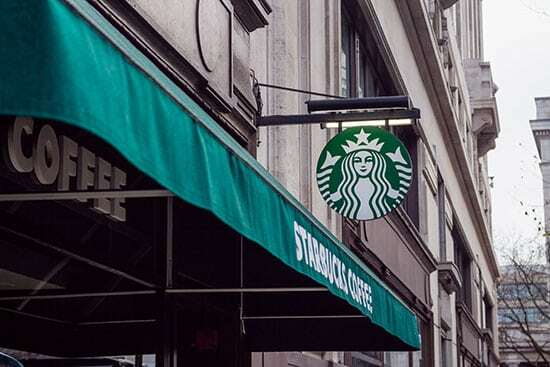 And while we usually think of Starbucks as flush with sales and profits, they stand as the sterling example of surviving and thriving in economic hardships. At the end of the second quarter of 2008, Starbucks quarterly earnings tanked. Global operating income had sunk 26% and the company’s in-store sales figures were negative for the first time in the brand’s history. Meanwhile, consumers were tightening up and cutting their spending as the global recession took hold. In July of 2008, Starbucks lost money for the first time reporting a net loss of $6.7 million for the third quarter. In the fourth quarter, profits dove 97% and earnings for the year were down 53%. As the financial crisis sprawled across Europe and Asia, Starbucks sales figures were at negative 8%, effectively rendering Starbucks’ existing economic model completely inept. If you’ve never read Howard Shultz’s book Onward: How Starbucks Fought for Its Life without Losing Its Soul, here’s the crux: after eight years away from the biz, Schultz returned as CEO while the financial walls were burning down at his beloved brainchild. What would you do in that situation? Imagine you were steering the ship during the worst financial crisis in decades. Imagine being Schultz, opening your newspaper in the morning knowing your customers were sipping their morning joe over dismal headlines like this one from NPR on January 29, 2009: More Bad News Brewing At Starbucks. Can you hear the message? Schultz used the recession as the impetus to refocus on his core business. He asked himself what business Starbucks was in, and then had a good long look at what business they needed to become. The CEO managed to rekindle love for his customers, meanwhile, he effectively checked the ego that will control ANY company that loves its product more than the people they want to enjoy it. And that is why Starbucks stands as a textbook example of how to come out on top—stronger even—not in spite but because of tough economic times. One thing I know from my experiences helping with the turn-around of thousands of business of every size: economic crisis creates breakthroughs. And winter? Winter is coming. Crisis takes us from thinking about the things we could or should do and it requires us make massive changes. Crisis brews innovation and revolution for those who use it to create, instead of letting it destroy them. Those that fail to adapt to a new economic environment end up in the graveyard of business—the place 96% of all businesses end up even after 10 years growth. Were you in business in 2008? If you still are today, congratulations. How did the global financial crisis change the way you do business today? What did you learn, and how did those lessons shape you into who you are now? Most importantly, do you think it’s likely another economic shake up could happen sometime in the next few years? How do you plan to do business in 2028? Perhaps now is the time to anticipate what you would do to be more efficient and effective in order to get yourself out in front of the ever-ebbing and flowing economic tide.